This activity is a great way to fill those restless days just prior to the holiday vacation. 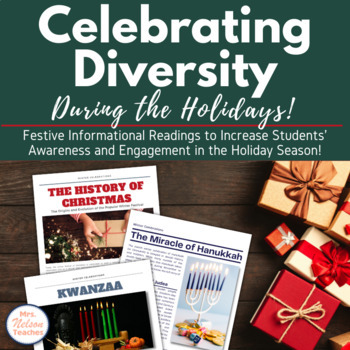 Included in this file are short articles discussing the history of Hanukkah, Kwanzaa and Christmas. After reading the articles, students will use a Venn Diagram to compare and contrast the three holidays. Following their organization of similarities and differences, students will write a two-paragraph summary of the similarities and differences. Handout Included. A great holiday activity.